Although most BICsuite and schedulix tasks are solved with the graphical user interface, occasionally it is more efficient and practical to access the command line interface. The new function now allows the API command language to be used directly from the web GUI. This obviates the need to open a terminal window or log in remotely on another machine. Previously, dependencies between batches and jobs could only be defined within a single process. This is now also possible between processes that are to be executed independently of one another, for example to define that job B is dependent upon the successful completion of job A in another process. This means that errors can be handled where they occur in the administration according to the task responsibilities. For instance, the person who updates a database does not necessarily have to take care of errors in the subsequent report. Previously, in exceptional cases it was necessary to use the command language to edit certain intervals for scheduling processes, and then enter them in a list in the web GUI. 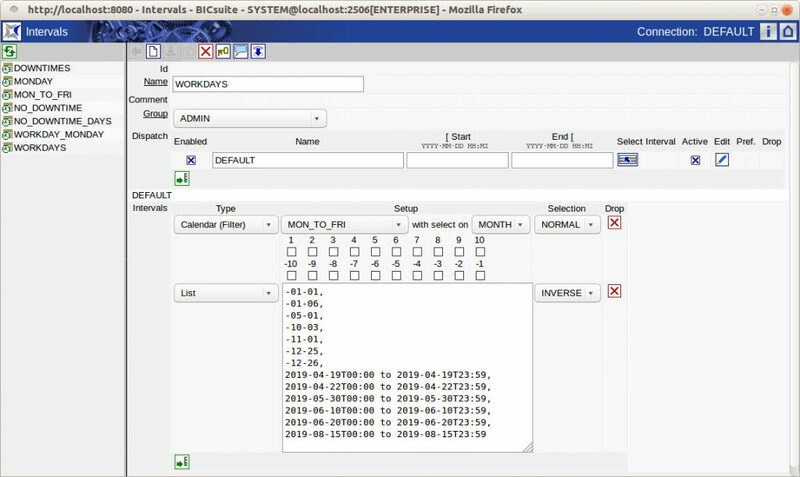 Intervals such as public holiday calendars and exception rules can now be edited directly in the graphical user interface. The “Disable” function in the parent-child hierarchy can now also be set up at scheduled times. If two of three parts of a process were to run daily and one only on a certain day of the week, this used to require two process definitions. This can now be mapped in a single process. Large process structures with hundreds of processes and dependency relationships could have caused long response times in the web GUI. Transferring the HTML generation of large lists from the web application server to the browser enabled the response times for large volumes of data to be substantially reduced. The BICsuite or schedulix web application server or other web servers can be used as a proxy to access log files. This means that only one port has to be opened between the user and the scheduling system. Apart from the consequently simplified and better firewall configuration, it is ensured that only authenticated users can use the function. 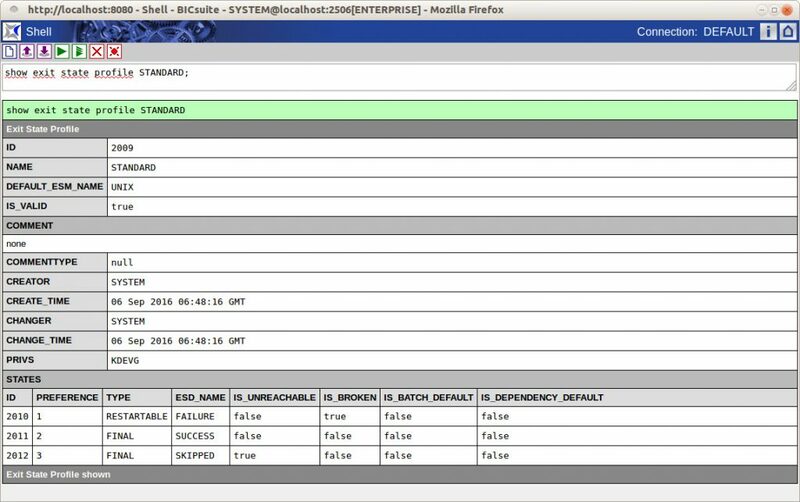 The log file patterns in the Scope configuration have been retained.